We have talked a lot about the importance of mobile marketing up till now. Let’s go through some facts and figures related with mobile usage and marketing that will help you align your marketing with your market’s information, consumption, habits and needs, in 2014 and reap a better ROI. • 85% of global Internet users have multi-screened while watching television. • 54% of global Internet users view their mobiles while watching TV. • 24% of global Internet users are tablet second-screeners. 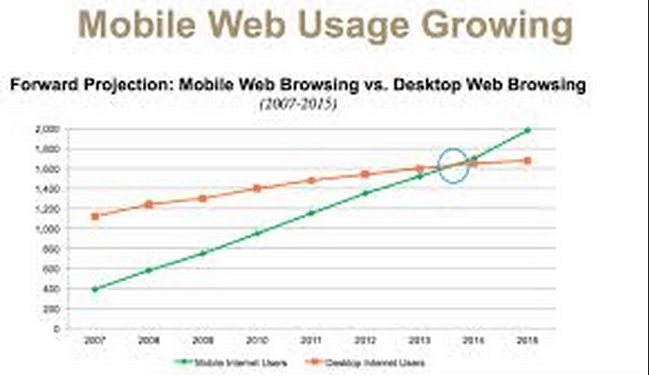 Optimize your marketing for multi-screen as mobile device usage is growing fast. Advertise your business according to how people spend their time on mobile internet. • 50% of smartphone owners surveyed believe search result listings influence their purchase decisions. • 31% of smartphone owners surveyed believe that mobile results with local availability influence their purchase decisions. Include mobile search in your marketing plans. • Almost 75% of smartphone users both check work and personal email on their phone and about half of the users surveyed check email via a tablet. Optimize your email marketing for multi screen consumption. • 2014 mobile advertising is expected to grow another 75.1% to $31.45 billion, almost a quarter of total digital advertising spend worldwide. • Google and Facebook experienced net mobile ad revenues increase by $6.92 billion, which was 75.2% of the incremental $9.2 billion of mobile ad spend in 2013. Include mobile in your marketing strategy and generate more revenue. • The mobile audience grew from roughly 480 million people to almost 615 million people in one year. • 27% of global Internet users purchase via their mobile and 12% of global Internet users purchasing via a tablet. Your content must provide a seamless multi-channel experience. Besides, make it easy for mobile users to purchase once they’ve made their minds up. These were a few facts and figures that will help you leverage mobile as a channel for marketing in a better way. If there a few more facts like these that you think can impact marketing, do share with us in comments. We would love to hear from you.